Rocky Valley 1 is a studio apartment located on the ground floor of the Rocky Valley building on Slalom Street. 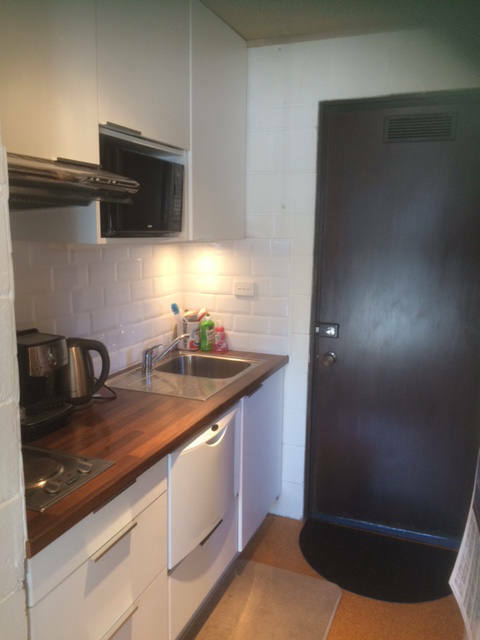 The apartment features an fully equipped kitchenette with electric stove top, microwave and fridge/freezer. Living area with TV. 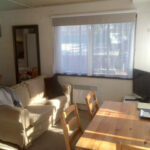 This apartment is in a very sought after location next to the Falls Express Chairlift. Close to car park so no over snow transport required. 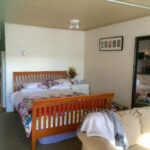 Close to supermarket and childminding facilities. Ski home via Wombat’s Ramble. 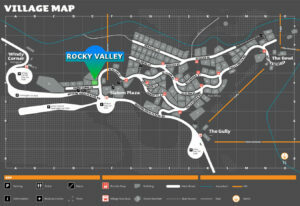 Rocky Valley 1 is a studio apartment located on the ground floor of the Rocky Valley building on Slalom Street. This apartment is in a very sought after location next to the Falls Express Chairlift. Close to car park so no over snow transport required. 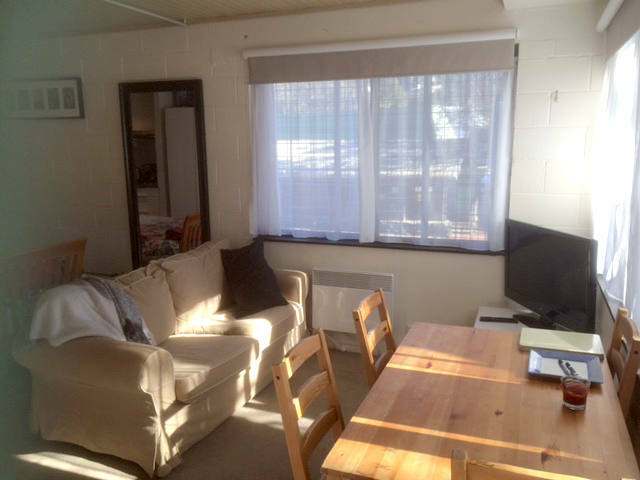 Close to supermarket and childminding facilities. Ski home via Wombat's Ramble. 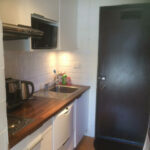 The apartment features an fully equipped kitchenette with electric stove top, microwave and fridge/freezer. 1 x Queen bed in apartment. Doona's and pillows are provided. 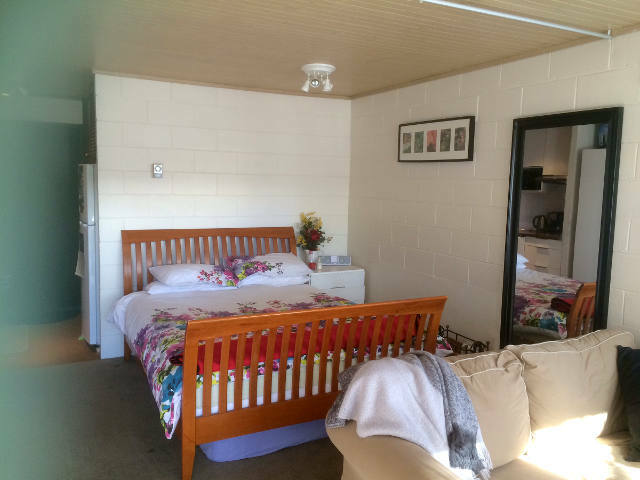 Linen is not provided in this apartment please BYO doona covers, sheets, pillow cases, towels, and bathmats. Alternatively please contact us about linen hire.